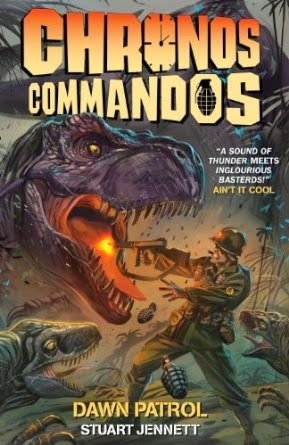 We have a signed hardback copy of Chronos Commandos: Dawn Patrol up for grabs! All you have to do to enter is like our Facebook page and share the competition post, easy. The winner will be the first name drawn from our hat ( M1 helmet ) on April 14th. Jump to it rookies, best of luck.